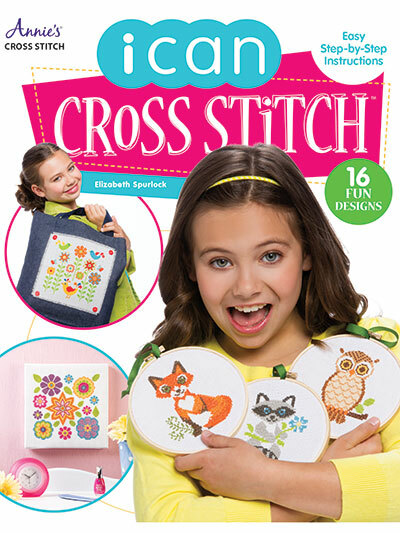 Let your little ones explore the wonderful world of cross stitch with this easy-to-understand book that focuses on teaching kids the skills to make beautiful cross stitch designs! They'll learn how to make fun wall decor, pillows, tote bags, keepsake boxes, jewelry and so much more. The book includes basic instructions on getting started, step-by-step instructions, black-and-white charts, photos and illustrations to guide them. 48 pgs.